Tehseen Poonawalla, brother of Maharashtra Congress Secretary Shehzad Poonawalla, on 4 December came out in support of party vice-president Rahul Gandhi, saying his entire family wanted him to lead the party. 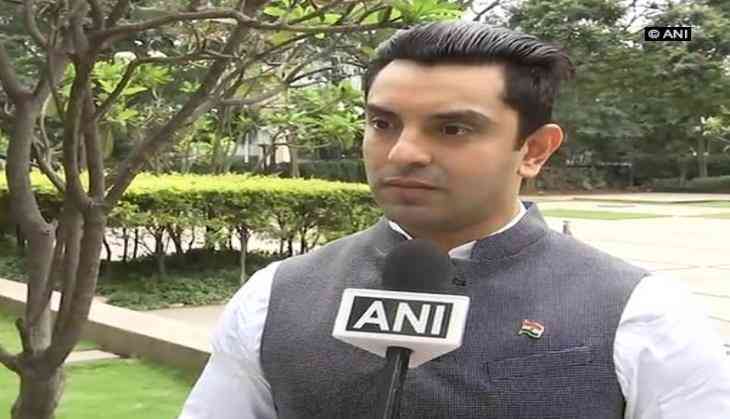 Speaking to ANI, Tehseen said, "I would like to clarify that me and my family are completely with Shri Rahul Gandhi and the Congress Party. We want Rahul Gandhi to take over as the leader of the party." Tehseen further said that the Poonawalla family had cut off their relationship with his brother Shehzad. "We have cut off all our family ties with Shezad; he is no longer a part of our family. We would just say if he had any issues with Congress, he should have raised it in the inter-party forum rather than the media," said Tehseen. However, Shehzad Poonawalla, who had called out the party's president election 'rigged', called the entire procedure to be a coronation. "I have objection with this election procedure which is rather a coronation. I would like to tell Rahul to ask his people to wait with a crown and coronate him as soon as he reaches the place," said Shehzad. Shehzad also expressed his concern regarding the presentation of a dummy candidate in the election procedure. "As per my sources, Congress will have take support of a dummy candidate so the entire procedure seems like an election. I think people shouldn't be deceived," added Shehzad. Rahul Gandhi on Monday filed his nomination papers for the post of party chief at the All India Congress Committee (AICC) headquarters in Delhi.